Listing Agent Linda Velli, Pope Real Estate Ltd. 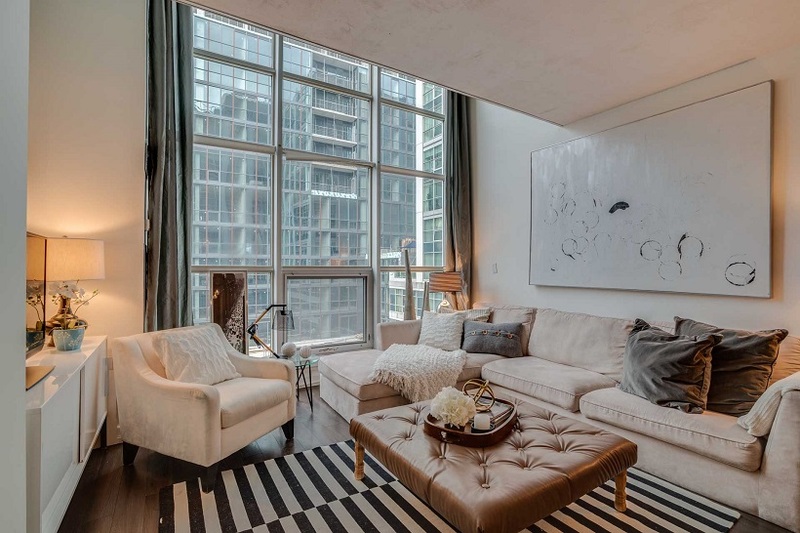 The Action: Though there were a few other residential suites up for sale the mixed-use building anchored by SoHo Metropolitan Hotel, this furnished, two-storey unit was on the market for less than 24-hours as a strong offer was accepted in the evening. What They Got: In a more than decade-old building, two-storey suites are the norm, such as this 900-square-foot space with double-height windows illuminating open sleeping quarters upstairs and a main floor living and dining area next to a kitchen with granite counters, marble tile backsplashes, stainless steel-topped island and hardwood floors. Utilitarian features consist of an enclosed upper den, two bathrooms and ensuite laundry facilities. Water and heating are covered by monthly fees of $663, which also gives access to a gym, pool, recreation room and recently renovated rooftop deck, as well as concierge and hotel services.